In the wee early hours of Friday December 7, 2018 we are blessed with a New Moon in the optimistic sign of Sagittarius. With Mercury stationing direct out of retrograde the day before we are gifted a major boost in energy & shift in circumstances as we get a sneak peak into the energies of the coming year. There is magic in the air as miracles become common place & our ability to Manifest is magnified. There are a number of astrological influences & alignments now that will bring a restlessness to the forefront for many of us. We may feel impatient, reactive, eager & ready Ready READY. This vibration is best harnessed into creative expressions or used to fuel research into personal growth. If these outlets don’t resonate for you, get physical to burn through some of this potent fire energy. Be aware that if it is not directed with intent, it may erupt unexpectedly into volatile outburst of frustration or anger. The main theme of this lunation is grow baby grow! Planning for next year, organizing, preparing, volunteering, studying, visualizing, & creating are great ways to tap into this vibration for the best good. Keeping your focus wide & inclusive will also help in optimizing the energies effectively for real growth & gain. This has been a trying Year of Awakening for many of us & now that we are armed with the truth the sign of the archer is ready to propel us into the next year with purpose, joy, & excitement. 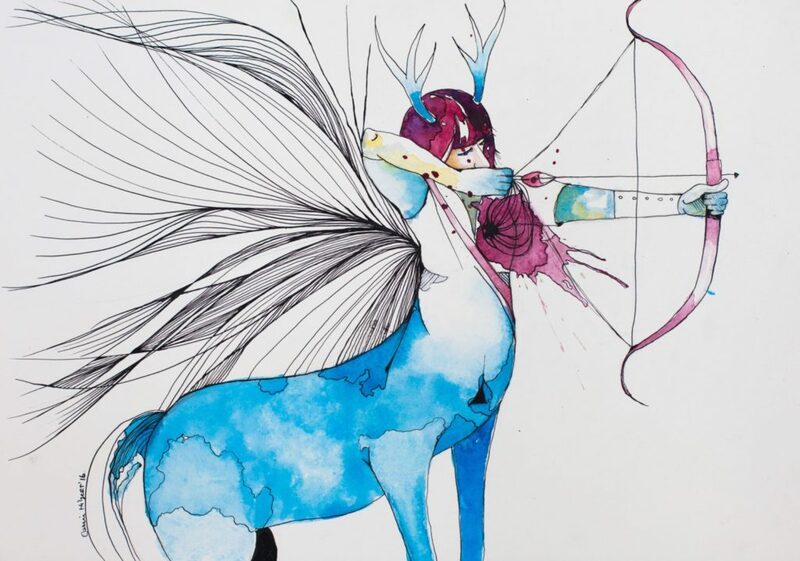 Take advantage of the boost from this New Moon in Sagittarius to aim for Magnificence!